Registrants are responsible for hotel / travel arrangements. 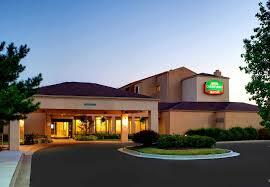 We have secured a small block of rooms at the discounted group rate of $144.00 plus applicable taxes. Call 1.314.241.9111 and request the group rate for the National Society for Histotechnology. The hotel is a 10 - 15 minute walk or a 4-5 minute cab ride from the training facility in the Millipore Sigma building. Attendees are responsible for providing their own transportation to the Millipore Sigma building.